Chair of the Finance and Facilities Committee Martha O’Conner delivers the resolution to review and approve the 2014-2015 academic year tuition and fees at the VSC board of trustees meeting on Feb. 20. At the Feb. 20 meeting, the VSC board of trustees rejected its finance committee’s recommendation to freeze tuition for the next year. One thing was agreed upon across the board at the board of trustees meeting on Thursday, Feb. 20, and that was the fact that the legislature isn’t doing enough in terms of funding for Vermont State Colleges. So, what should be done about tuition and future funding when enrollment is declining and there is no sign of help from the state government? At its meeting Feb. 12, the finance and facilities committee passed a resolution to approve tuition and fees for the 2014-2015 academic years. The new resolution called for a tuition freeze for in-state undergraduates, meaning that there wouldn’t be an increase in tuition rates. It would allow for out-of-state tuition, room and board, and fees to increase by up to 3 percent. This resolution is contrary to Chancellor Tim Donovan and the college presidents’ proposal to increase in-state tuition by 3 percent for two years. 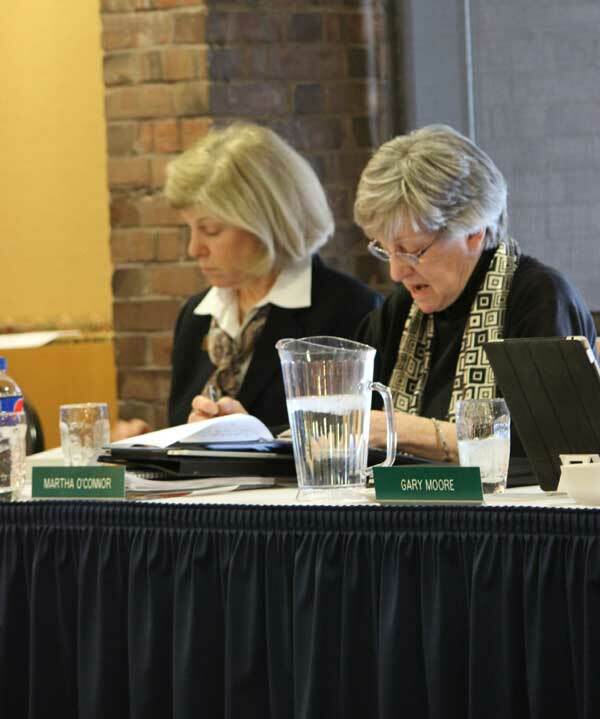 Chair of the Finance and Facilities Committee Martha O’Conner urged fellow board members to defeat the motion, and requested a continuation of the discussion during the Priorities Committee meeting March 10. The motion was defeated with a vote of 8-5. Two amendments followed with the final amendment, to increase in-state tuition by 3 percent for one year, passing with a vote of 8-5.